Who is Piers Gaveston - and why is his presence in the king's court about to plunge England into civil war? The young queen believes in the love songs of the troubadours and her own exalted destiny - but she finds reality very different. As she grows to a woman in the deadly maelstrom of Edward's court, she must decide between her husband, her children, even her life - and one breath-taking gamble that will change the course of history. I adored Colin Falconer's book When We Were Gods - A Novel of Cleopatra, and was excited to find out how he would write the story of Isabella of France. Born in 1295, the only daughter of Philip IV of France and Joan I of Navarre, Isabella was married at just 12 years of age and took up residence in England, the wife of Edward II of England. Falconer's Isabella has dreams of love and a bright future, however she soon learns that Edward II has a favourite, by the name of Piers Gaveston. Edward lavishes Piers with lands and jewels and denies Isabella the love she's been craving. 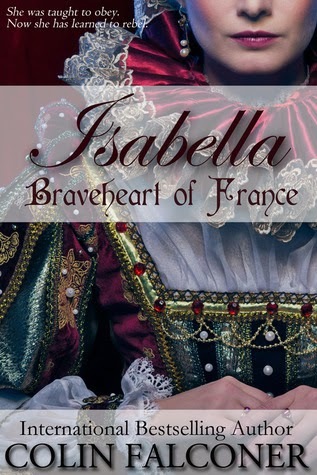 Isabella: Braveheart of France is a heartbreaking story, filled with danger, conflict, greed, envy, tragedy and death. Those who know their history well, might know the broad facts about Isabella but Falconer brings her story to life in a refreshing way. This reader was behind Isabella at every point, despite her reputation as the She-wolf of France and the only woman to successfully invade England. Recommended for lovers of historical fiction, those who enjoy court intrigue and politics and readers who enjoy a strong female protagonist. Born in London, Colin first trialed as a professional football player in England, and was eventually brought to Australia. 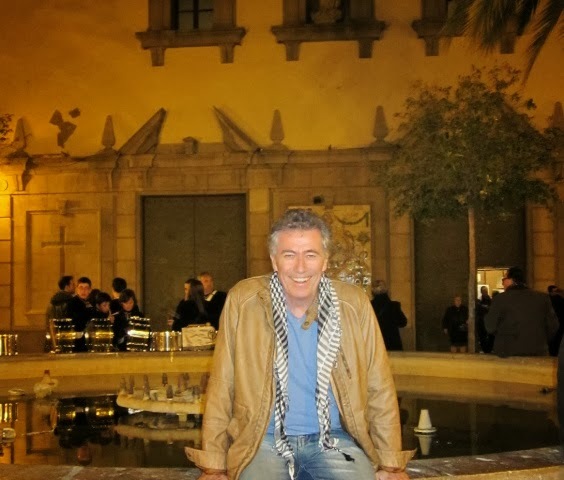 He went to Sydney and worked in TV and radio and freelanced for many of Australia's leading newspapers and magazines. He has published over twenty novels and his work has so far been translated into 23 languages. Please click here to visit more stops on this blog tour and for your chance to WIN a copy of Isabella: Braveheart of France by Colin Falconer.